Two Points Property Land Acquisition, A Historical Profile of the Land & Title Transfer. Leech Lake Band of Ojibwe created the real estate mess that the Robinson Two Points property is in, and as such, public money (environmental trust money / public money) should_not be utilized to title the property back to the tribe. The Tribe should own up to the real estate mess it created by Tainting_Real_Estate_Projects and clean up that mess with its own tribal funds. Grant Goltz, a former LLBO cultural preservation employee conducts spatial analysis/archeology study of the Two Points property and re-iterates “Sacred Land” , Last Stopping Point myths, lies with his phase 1 and phase 2 study conclusions. This act brings real estate development to a complete halt, tainting the real estate more. Ed Robinson offers Two Points Property to LLBO for $600 thousand, LLBO refuses offer, and returns funds allocated for purchase 3 years later. In 2016 Leech Lake WaterShed Foundation submits a 7 million dollar request to work hand in hand with LLBO for Fisheries Habitat program at Two Points. Project Summary: Acquisition and protection of 45.27 acres, 0.67 miles of shoreline of high quality aquatic and wildlife habitat and the historic meeting place between Henry Schoolcraft and Anishinabe people. This comment by Levi Brown in the request for acquisition to the LCCMR committee is a lie and the LCCMR partially based its decision on that lie. Also, It is obvious there was non-transparency of the historical profile of the property title transfers to the LCCMR Committee. On July 16th and 17th in 1832, 1st nite encampment was at the Pine Point area in the village of Flatmouth (noted in map FlatMouths House). The 2nd nite was at label R in the map shown below. 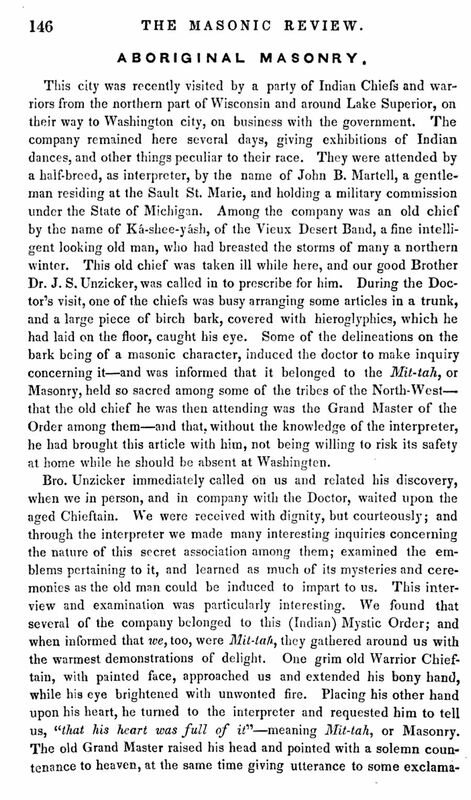 SchoolCraft in later years published a follow up to his Summary publication , titled – “Narrative of an Expedition Through the Upper Mississippi to Itasca Lake: The Actual Source of this River : Embracing an Exploratory Trip Through the St. Croix and Burntwood (or Broule) Rivers : in 1832. 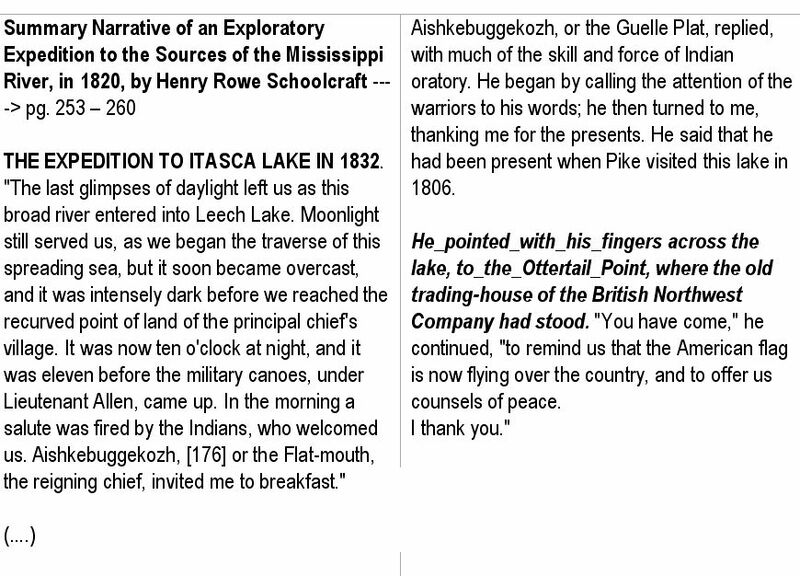 In “Narrative” publication SchoolCraft notes Joseph Nicholas Nicolet’s 1836 expidition that isolated errors in Schoolcrafts distance measurements of the crow wing river. SchoolCrafts Narritive Publication was published after Nicolet’s 1836 expedition and SchoolCraft references Nicolet’s field notes to include elevation readings for the two point’s property (1380 feet). It is interesting to note, nowhere in SchoolCrafts publications does he mention anything about a Ojibwe Village at the “Two Points” feature in SchoolCraft’s map, nor does Nicolet mention such in his publications. 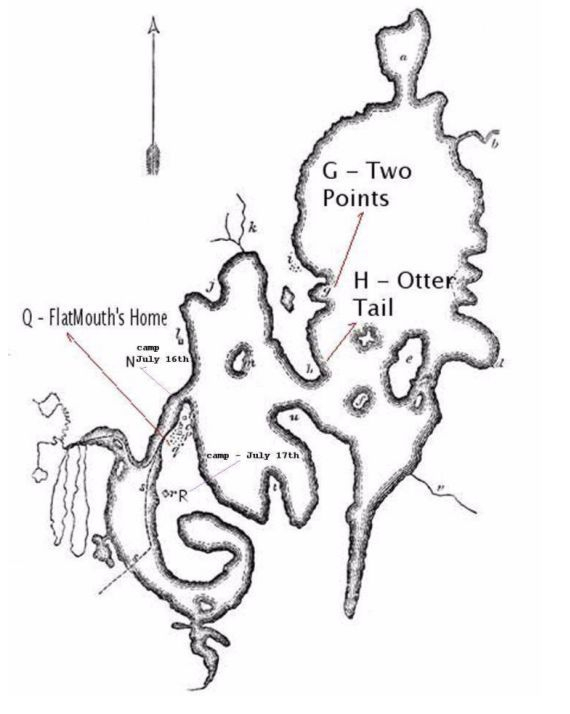 Nicolet known for his extreme detail of mapping traits, does not exaggerate two point features of the OtterTail Point shoreline. SchoolCraft’s map in cartography contains aspects that are considered “features mapping” , a map of feature points that are relative to their position in real space, features of high interest are exaggerated such as the shoreline of two points in SchoolCrafts Map. SchoolCrafts published map has no distance scale. In SchoolCrafts Map , the inland water body on OtterTail Pt. is west_of Two Points, the indian village is to the North_North_East of the inland_water_body. The 2 maps are offset from the Robinson TwoPoints in the application aerial photography (OtterTail red outline with today’s major inland water body depression polygons filled in with blue). The Ojibwe Village noted in SchoolCrafts Map was_not at the Robinson Two Points property location as per a phase 1 and phase 2 archeology study assumptions published by Grant Goltz in 2008. The 2008 archeology study was commissioned by Mr. Ed Robinson and its conclusions have been exaggerated with myth and deception by the archeologist Grant E. Goltz to Taint Mr. Ed Robinson’s real estate. The 3-4 miles referenced in Goltz archeological report is approximately at label ia or ib as noted in the map above. 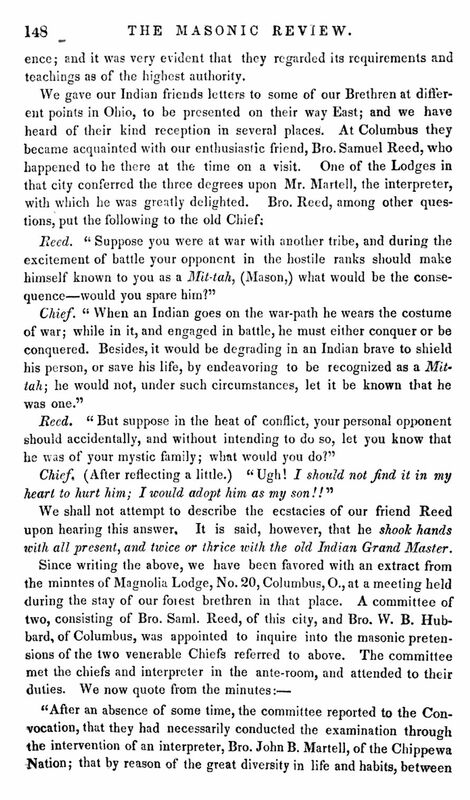 Yet – Goltz places the ojibwe village spoken of by Boutwell, at Robinson Two Points. In 1834 the missionary William Boutwell traveled to Leech Lake with the trader William Davenport, who operated a trading post in the Pine Point area. They traveled up the Leech Lake River by canoe and reached the lake at 2:00pm , but the lake was so rough their loaded canoes could not stand the waves. They were obliged to go out of their way and coast a deep bay at the north end of the lake. The complete study is available from the Cass County Environmental dept. “If the Two Points Property held any significant value of sacredness to Ancestry, the NorthWest Trading Post would have never been allowed to be constructed there.” & “the Anishinabe when 1st arriving in the Leech Lake area prior to the fur trade era, initially located themselves on islands, such as Bear Island, as a protective measure against the Dakota who controlled the land mass’s, the Two Points / Ottertail Point is not an island and it is only Sacred to those who want to financially exploit identity, beliefs and ancestry for personal gain OR only Sacred to those who have not been told the Truths. The on slant of Ojibwe into the area approx 100 or so years after the first arrivals of the Ojibwe , were_participants of Military Conquest and the Fur Trade development era at Leech Lake. NOT participants of what is termed the Anishinabe Migration. In 2008 the Minnesota Historical Society utilized Goltz archeology conclusions to create a request to the National Registry of Historical Places for the Robinson Two Points Property to be listed as a historical site. (Minnesota Historical and Cultural Grants Program). This was a second instance of using myth and deception to Taint Mr. Ed. Robinsons Real Estate. Recipient: The Trust for Public Land – National Register of Historic Places nomination preparation and a management plan for the 47-acre Two Points property on Ottertail Peninsula, Leech Lake. Included is a spatial analysis of physical artifacts, researching documentation of the site, creating and annotating maps, taking photos and completing the nomination form with attachments and bibliography. 11 lead organizations and 13 partner organizations from 8 counties received a total of $1,515,000 in grants. In 2011 LLBO refused a $600,000 land purchase offer from Mr. Ed Robinson. The 2 points property at Otter Tail was eventually taken out of federal trust status for Skipp Finn , approved by the LLBO council and categorized as private fee land. This trust to private land status occurred during LLBO Chairman Pete White’s administration. In 2004 Finn split the property as per it’s current parcel configuration with the intent for Real Estate Development. In 2006 Finn sold the Two Points Property to non-tribal people. Tribal constituents started public campaigns to Taint the real estate of the non-tribal owners (Daniel Piprude & later Ed Robinson) with rhetoric of Sacred Land and Last Stopping Point of the Anishinabe. Those Tainting tactics are later reiterated in the conclusions of the 2008 archeology study by Mr. Grant Goltz. During the years of land title transfer, Tribal Members overwhelmingly opposed the Leech Lake Tribal Council’s attempt to purchase that land from Skipp Finn, and again later opposed a land purchased from the non-tribal people who held title to the land. Now the pitch from Leech Lake Band of Ojibwe Department of Resource Management, Levi Brown is to utilize the state environmental trust fund (public money), to purchase the property and title the land to the Leech Lake Band of Ojibwe. Mr. Levi Brown was assisted with gaining support for the LCCMR land acquisition request by former Leech Lake DRM environmental employee John Persell (who’s wife is a LLBO member). Persell at the time of Mr. Levi Brown’s acquisition request, was the district 5a representative for Minnesota House of Representatives, and a member of the LCCMR Commission. In 2016 MNDNR finalized their Fisheries Management Plan for Leech Lake. Using nearshore habitat inventory and muskellunge spawning habitat assessment, area fisheries biologists and Leech Lake Band of Ojibwe have identified Two Points in Portage Bay (mesotropic) as a key acquisition to protect spawning areas for walleye and muskellunge. We seek funds to strategicaly acquire 45.27 acres which include 2 islands of high quality aquatic habitat, wildlife habitat and approximately 0.7 mile of shoreland that would protect the third largest lake in Minnesota. MNDNR internal score on the proposed AMA is extremely high at 36. At the June 10th Hackensack MN Republicans Legislative RoundUp, I was refused to deliver information about the Robinson Two Points Acquisition to the public and the meeting panel. I presented to the panel additional concerns of Mr. Ed Robinson, as per a phone conversation with him Sept. 2016, about developing a Genetics Program for Walleye with the LLBO Fisheries and mentioned to the panel Mr. Robinson’s discontent with the DNR for not supporting such. I mentioned the $7 million grant request for the Fisheries Habitat Proposal by the Leech Lake WaterShed Foundation could create an avenue for Mr. Robinson’s Genetics agenda with the LLBO Fisheries. The concerns were immediately dismissed; the panel suggested I speak with District Rep Mr. Bliss and Mrs Ketchel. The meeting was then closed. After the meeting I had a brief discussion with Mrs. Ketchel in ref to genetics concerns and also correlation of the two points real estate tainting tactics, to another private property in Cass County (discussion in part 2 of this document – Jacobson Real Estate Property Tainting by LLBO Levi Brown). Mrs Ketchel stated the Leech Lake WaterShed Foundation was considering purchasing William Jacobson’s property, and stated, Jacobson will not like our offer considering the amount of money he is asking for his property. Creating Common Ground Working Relationships between Tribal and Non-Tribal Entities; Decisions and Actions that Create Lack of Trust and Speculation of Integrity. Jacobson Property put up for sale, tax assessed value 1.5 million, listed for sale at .1.2 million dollars. Litigation Threats implied on property development by LLBO Taints Jacobson’s Real Estate. This scares off potential buyers and no more interest in purchase is shown after tainting. Leech Lake WaterShed Foundation confirmed to me , that the foundation was considering a offer to purchase , AND_That Jacobson would not like the offer because it was below his asking price. For over 50 years , Tribal and non-Tribal, community and non-community people have utilized Mr. Jacobsons land for hunting, gathering, fishing activities, beach activities and other sports activities such as cross country snow mobile races. Onigum Tribal community members to this day utilize Mr. Jacobson’s land resources for their winter firewood heating needs. To this day the Jacobson family has created a near_zero human footprint on their property. William Jacobson purchased land in 1957 and cut a right of way from Popal Dock in Onigum to his property that is located in the Onigum Marina Area. This right of way to the northern part of his property was about 1.10 miles from Onigum Popal Dock and included building a small bridge to cross a small canal that separated land mass’s. 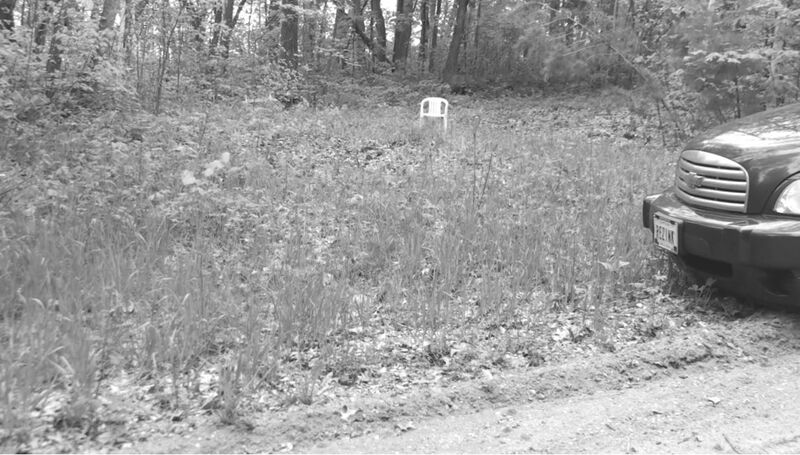 The road initially spanned the northern part of Jacobsons property making a cul-de-sac to return out. Mr. Jacobson then cut a right of way to the southern end of his property for access to the southern portion of his property. The northern road exist to this day as it was originally cut, the southern end of his property also still has it’s original right of way access. The southern access to Jacobson’s property runs across my wife’s Tribal Lease. Both access points to his property (north and south) have been maintained utilized for over 50 yrs. Jacobson’s road to the Onigum Marina area in later years were upgraded and utilized to develop tribal and non-tribal lease lots from Onigum Popal Dock to the Onigum Marina area. That initial right of way also enabled the development of the 1970’s Onigum Marina Restaurant, Boat House, Boat dock and camp sites. In recent time Steve Jacobson, put his family land on the real estate market which drew interest for a couple of buyers. Jacobson’s Property tax value is approx 1.5 million, he put his property on the real estate market for 1.2 million (300 thousand less tax value). One potential buyer offered to Jacobson approximately $900,000 for his property (300 thousand below asking price) The potential buyer presented to Jacobson, this is a take it today offer, or leave it. Jacobson replied he had to consult family members for such a decision. Shortly there after Levi Brown of LLBO notified the Real Estate Agent, and made him aware LLBO would not allow land access to Jacobson’s Property for development. Jacobson was then told his property was now considered water access only and his real estate market value was greatly reduced. There was also another offer to Jacobson to split his property; the offer was for the buyer to develop the north shoreline of Jacobson’s property, with mention to assist Jacobson to parceling out the remainder of his property. 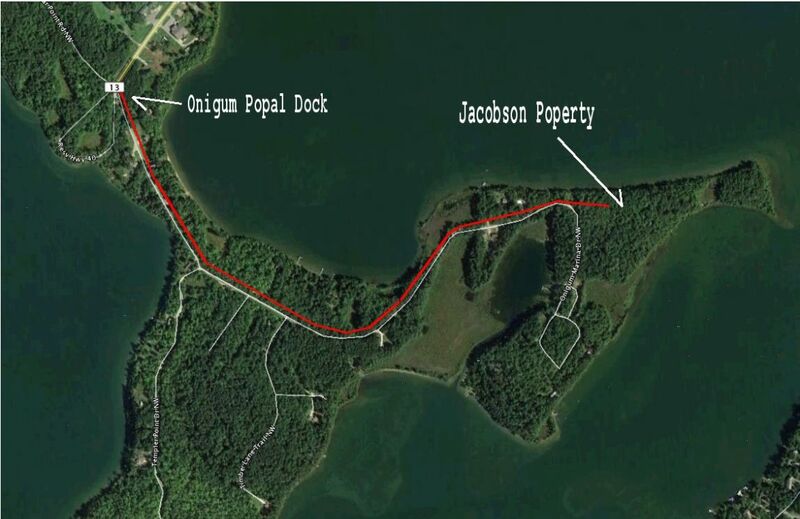 Today, there is approximately a 80 foot of MCT land between the current position of the Onigum Marina Road and Jacobson’s property line (which is the same as the Shingobee – Turtle Lake Township line). Levi Brown of the LLBO and Real Estate Agent suggested to Jacobson a Land for Land exchange (logged with images and email text) to provide land access to the Jacobson Property for real estate development. The exchange was to be approx 130 feet x 33 feet of right of way (noted by double red lines in the image ½ way down Jacobson property line) in exchange for Jacobson’s southern end of property that is separated from the north side of the property by a bog. The southern portion of Mr. Jacobson’s property is approx 2 acres and it has approx 300 feet of shoreline property on Leech Lake. 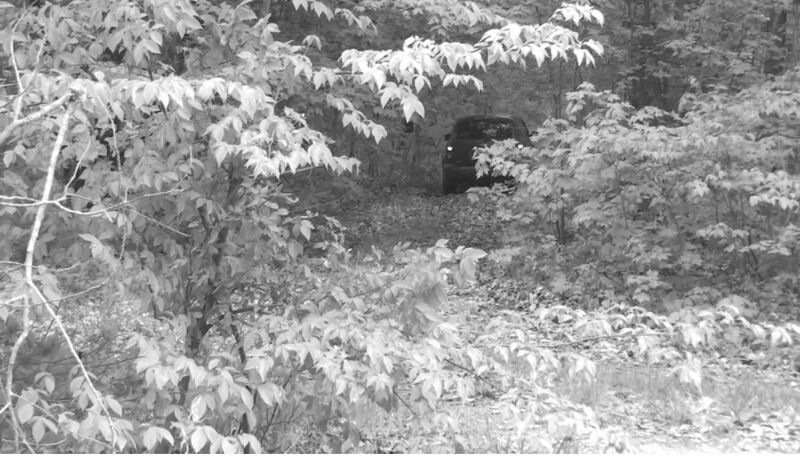 The email also said to gain access to the southern portion of Jacobson’s property, a second access right of way would be needed. > The attached picture shows where the road would go in blue, a width of 33 feet by approximately 130 feet long, or however far it is from the blacktop to your property line. > The outline in red which is highlighted yellow would be the piece you would trade for the road. This is a nice enough piece of woods, but it would take a second road easement to get to it. This is the only option that appealed to the tribe for giving you a permanent road easement, which you need to sell the main parcel. The Onigum Marina Area, the LLBO through a Forestry Grant for Fire Safety to clear excess fuel on the ground of wooded area’s. LLBO cleared the 1970’s Onigum Marina Camp site area’s , and the camping sites wash house area up the road from the marina. LLBO cleared the footprint of 1970’s Marina Development. 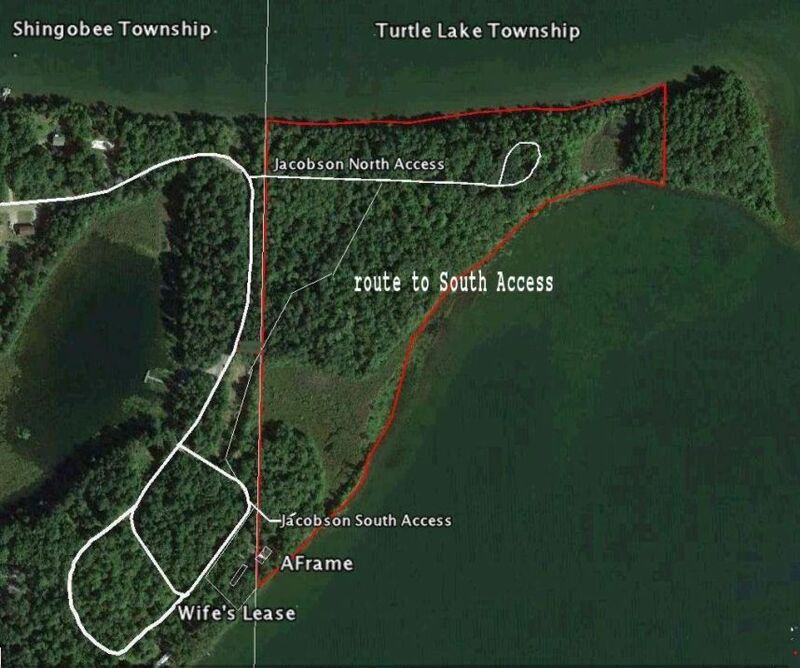 LLBO is currently requesting assistance from the Leech Lake Association to dredge the Onigum Marina access canal. Is this pre-development to re-initiate the Onigum Marina / Harbor? If so, such a development would be of great value to real estate property in the Onigum Marina area, that Levi Brown and real estate affiliates are trying to get “their” hooks into. The southern portion of Jacobson’s property potential shows that Levi Brown of LLBO is asking for a potential $3 million in exchange for taking the LLBO Land Lock Taint off of Jacobson’s property. 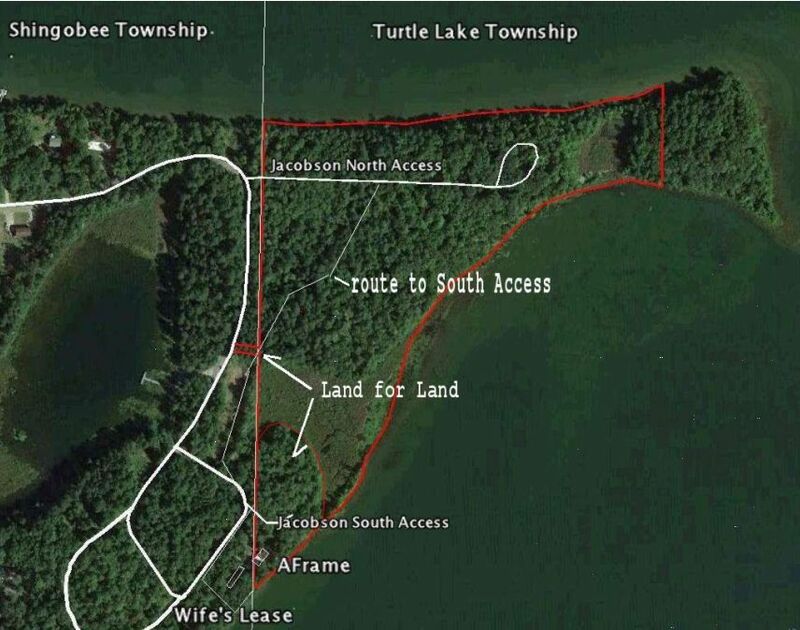 After a few Cass County offices were contacted in ref to Mr. Jacobson’s Property being declared water access only , Mr. Jacobson was made aware of a potential offer from Leech Lake watershed foundation to purchase his property. Projecting a shoreline development from the north side of the lake across from Jacobson’s property (values from Cass County Parcel System) onto Jacobson’s property in the excel spreadsheet. 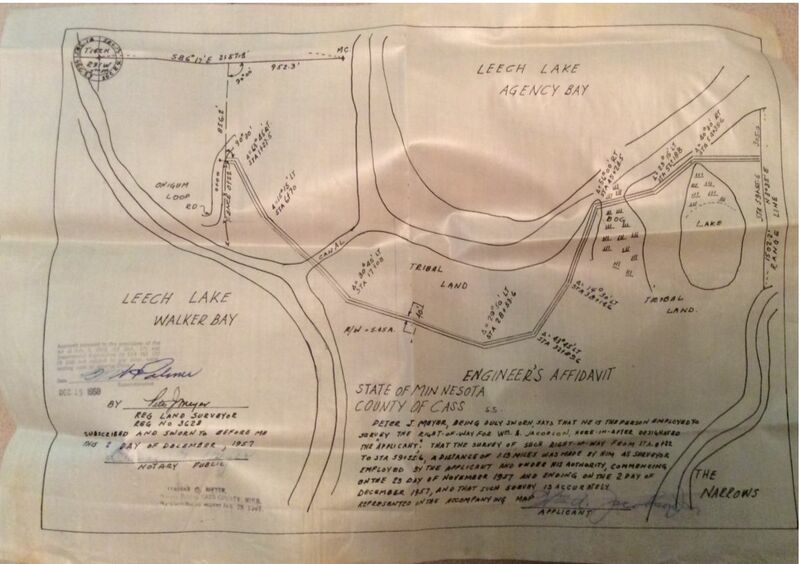 Column labeled “12 on Jacobson 1” = 12 shoreline lots on northern part of Jacobson property. This projection is for shoreline properties only, it does not include any parcel space for the interior of Jacobson property that has been tainted. With the Two Points Property – The LLBO with support of the Cass County Commissioners and area Environmental Foundations, has set the precedence that the LLBO can Taint any real estate development property through myth, lies and deception of cultural sensitivity OR Conservation concerns OR for any reason, such as land locking property / Litigation threats, even if access points have been in place and used uncontested for 50+ years. > Over the months i have emailed concerns out to numerous state representatives relative to a request to the LCCMR for acquisition of the “Robinson Two Points Property” in Cass County Minnesota. is to provide more detail than that presented verbally or in past emails, since much of the information presented was from memory without source information in most instances, and as such, erroneous information was given in error on my part. > This document is for awareness of critical concerns, I am not asking for any action to be taken , except that, the information contained within the attached document be researched to validate the contents of the writing AND that all recipients act on irregular and questionable actions contained within the document. When Robinson titled the two points property a archeology study had to be conducted, as per “sensitive shoreline criteria”, as i was told. According to Cass County Environmental dept. a archeological study is dictated when property is split. 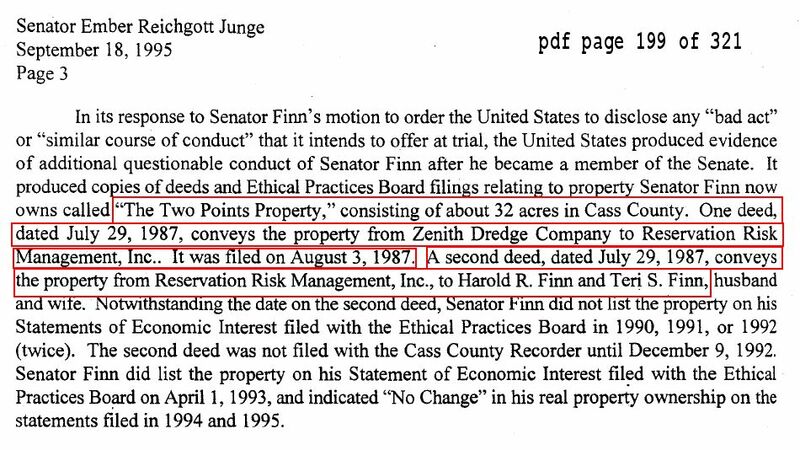 There was no study conducted when Skipp Finn split the property 1-16-2004. No study was conducted afterward when the property was titled to Piprude. At what point did archeological studies become mandatory? After Sensitive Shoreline criteria was updated? That criteria which was developed with the support and assistance of input sessions that included the Leech Lake Association and the Leech Lake Area Watershed Foundation? pdf file page 2: -“The Leech Lake Association and the Leech Lake Area Watershed Foundation are involved in many aspects of the lake. The Association has participated in lake monitoring and stream inlet/outlet monitoring, shoreline restoration, and is a member of the Association of Cass County Lakes (ACCL)…. 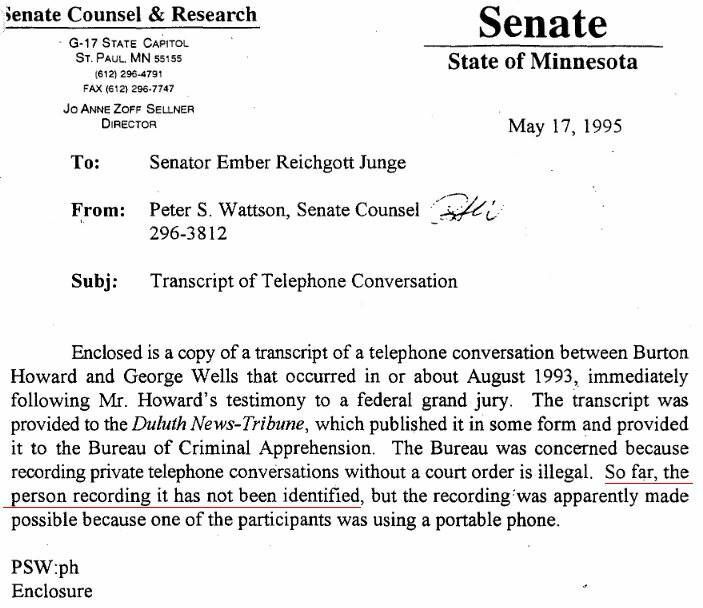 My wife and her mother recording free air, transcribing and sending that capture to the Duluth NewsPaper launched the investigation that resulted in the 2nd time in a 200 yr time frame that a senator was expelled from his Senate Seat. 116P.17 ACQUISITION OF LANDS OR INTEREST IN LANDS;COMMISSIONER APPROVAL. (a) A recipient of an appropriation from the trust fund who acquires an interest in real property must receive written approval from the commissioner of natural resources prior to the acquisition, …. Aug 2016 – DNR appoints Rita Albrecht (Mayor of Bemidji ) as northwest regional director. Albrecht worked for the Leech Lake Band of Ojibwe as a “economic development specialist” …. 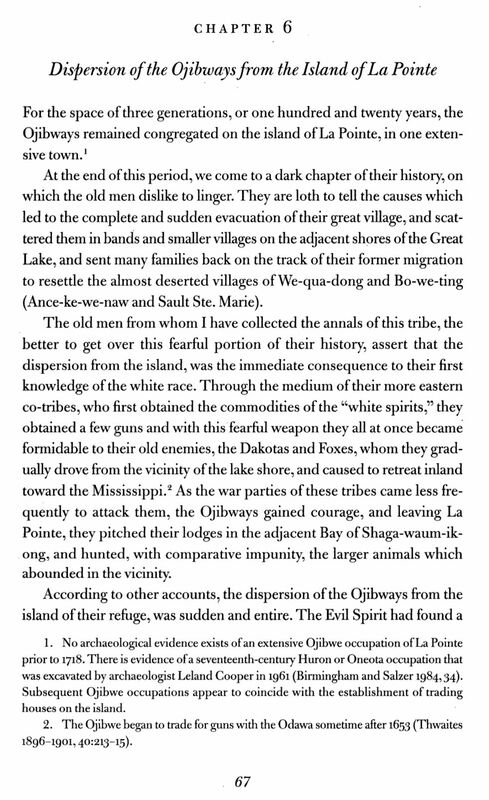 Speaking with Goltz, he mentioned his source for his conclusions in his archeology report about the last stop of the Anishinabe migration , is a 1975 publication by Selwyn H. Dewdney. Dwedney is known for his work in “Therapy Art”. Dewdney sourced a man named Red Sky, who “SOLD” some birch bark scrolls to a museum in Calgary. “Red Sky sold his seven sacred scrolls to the Glenbow-Alberta Institute in Calgary as a means of preserving Midewiwin knowledge and provided Dewdney with an explanation of the pictographs therein. He places the origin of Midewiwin at La Pointe in the late 18th century and attributes its creation to Ojibwa religious leaders. Red Sky relayed from memory the so_called Sacred Scrolls he SOLD AND APPENDED HIS OWN ICONS AS THE LAST STOPPING POINT of the so called ANISHINABE MIGRATION that Goltz uses for his archeology conclusions. Red Sky was from Wauzhushk Onigum (Rat Portage) First Nation (Kenora Indian Reservation) , which is where FlatMouth spent part of his life seeking shelter from some of the Ojibwe at Leech Lake that were gunning for him. This is another MESS worth discussing …. What ever happened to , offering something to someone with the request of “Please Take Care of this/these” with no other expectations except that proper care will be given? …. In place of Selling it. “it’s” called Trust, and very obvious that the word Trust as in “Environmental Trust Funds” in parts 1 and 2 of this blog entry is being abused. No? Anyone who knows even a 1/2 cent worth of ancestries teachings understands Mide originated thousands of years ago and “it came to life” in tune with “Creation Stories” (the Algoquin Language Family has upto 4 creation stories). In Vogue (pg. 68 below) were Contemporary Teachings in those days (coming to life) that over time of use and acceptance became “Traditional”, that spiraled downward to the ultimate violation of a persons Soul/Spirit, anything less expected from those who try to walk through life with one foot in the shadows and the other in the light? The Mide Dwendey says originated in the 18th century …. refers to Mide practices of the area Madeline Island / LaPointe Wisconsion. Those practices expanded outward to area’s such as N. Minnesota. Madeline Island / LaPoint is today – for those who follow and believe in the “1970’s contemporary Migration Teachings” , that are now today considered “traditional teachings” , was the last stopping point of the termed Ojibwe Migration. The migration teachings of people like red sky (contemporary —-> tradition) are most always combined with the prophecies of the 8 fires (conjured also by AIM) , an interesting note is that of the supremacy ideologies as in the 7th fire teachings. “If the New People will remain strong in their quest the Water Drum of the Midewiwin Lodge will again sound its voice. There will be a rebirth of the Anishinabe Nation and a rekindling of old flames. The Sacred Fire will again be lit. 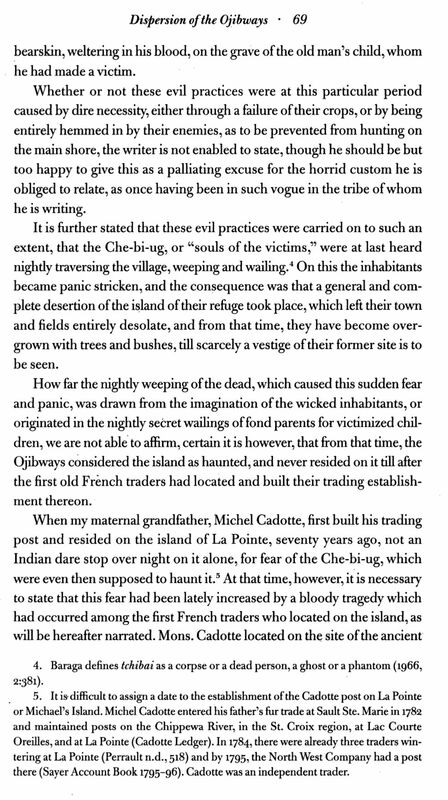 While still living in their large and central town on the Island of La Pointe,a principal and leading Me-da-we priest, whose name was Ma-se-wa-pe-ga (whole ribs), dreamed a dream wherein he beheld spirits in the form of men, but possessing white skins and having their heads covered. They approached him with hands extended and with smiles on their faces. This singular dream he related to the principal men of the Ojibways on the occasion of a grand sacrificial feast to his guardian dream-spirit. He informed them that the white spirits who had thus appeared to him, resided toward the rising sun, and that he would go and search for them. His people tried to dissuade him from undertaking what they termed a foolish journey, but firm in his belief, and strong in his determination, he was occupied a whole year in making preparations for his intended journey. 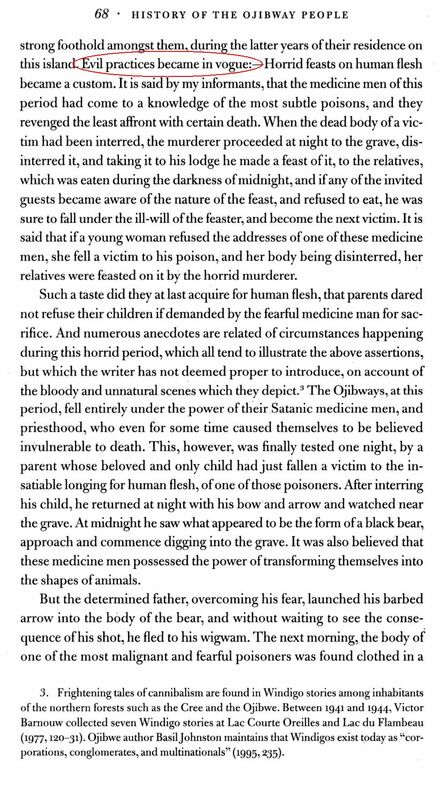 page 91: “It is related that on the arrival of this party at La Pointe, [p 120] with the fire-water, none dare drink it, thinking it a poison which would immediately cause death. They, however, to test its virtues, made an experimental trial on a very aged woman who—as they reasoned—had but a short time to live at all events, and whose death would be a matter of no account. The old woman drank it, appeared perfectly happy and in ecstasies, got over the effects of it, and begged for more. On which the men took courage, and drank up the remainder themselves. In years past, children of unique qualities were selected at early ages of their life to be students of spiritual guidance. During their years of maturity, those who “accepted the responsibility” to be a Spiritual Advisor made a decision on their own to accept or not accept such responsibilities. A very serious choice. “Starting in the 1970’s people from within the prison systems, were declared spiritual advisers , supported through federal funding programs, and released into reservation communities to as termed “liberate 1st Nations people” from the termed “white man” , “Christianity” and “Colonialism”. Clyde Bellecourt was convicted and sentence to the adult correctional facility at St. Cloud. On his 25th birthday, he was transferred to Stillwater Prison prison in Stillwater, where he served out the remainder of his sentence. According to Bellecourt’s first-person account of this time, he was in solitary confinement for a discipline infraction when he heard someone outside his cell singing and calling his name. He looked out the peep-hole into the eyes of Eddie Benton Banai. … Banai had come to persuade him to help form an Indian cultural group. 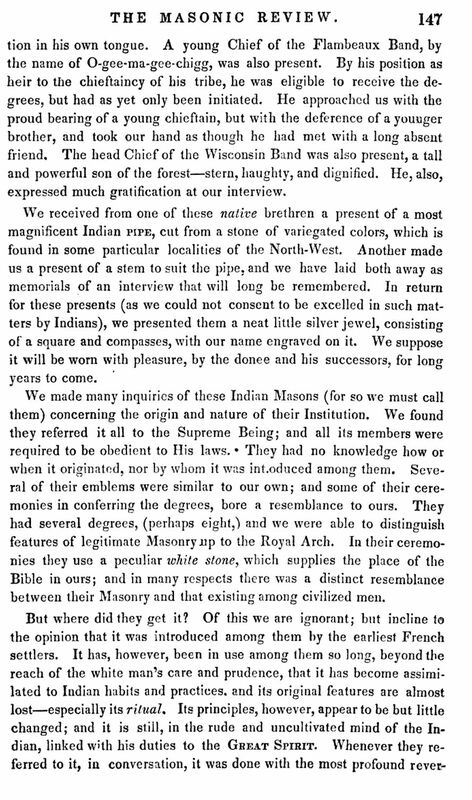 In the following weeks, Bellecourt gathered 82 of the 128 Indian inmates then in Stillwater to come to the first meeting of the Indian American Folklore Group. It became the model for an Indian cultural renaissance within prisons across the country. The Folklore Group met weekly, using History of the Ojibwe Nation by William Whipple Warren as their text, and led by Banai as instructor. In ref to the writings of garbage in , garbage out and the twisted teachings that correlate to the carving of Milky Way Jr, this fb post and it’s comment replies , about Milky Way Sr.
TRIBAL PROJECTS: Steve Mortensen mentioned that the Tribe is working with the Leech Lake Area Watershed Foundation to obtain lake shore acreage on the Two Points area which at one time was a tribal village. Steve also mentioned that the entrance to the fishing lagoon on Onigum is silted up and would need to be dredged by the tribe since the property is all tribal land. This lagoon is also the site of the old Shingobee Fishing Pier. It is very heart felt to sit back and watch working groups twist , spin aspects of my wife Zhanoogikwe (keeper of storms / woman of south winds) ancestry (she is a direct descendant of FlatMouth) , especially when doing so to smooth over corruption, and benefit people involved with corruption, it is heart felt to sit back and watch the spiritual foundation of identity used as a tool through myth and deception for self serving agenda’s, and just as much heart felt when all of that occurs, while people ignore what resides within community, that kids and family have to live among. Multiple aspects and dynamics of Abuse – that is allowed, minimized or marginalized, while some people rant on about surface water run off and lake water quality. 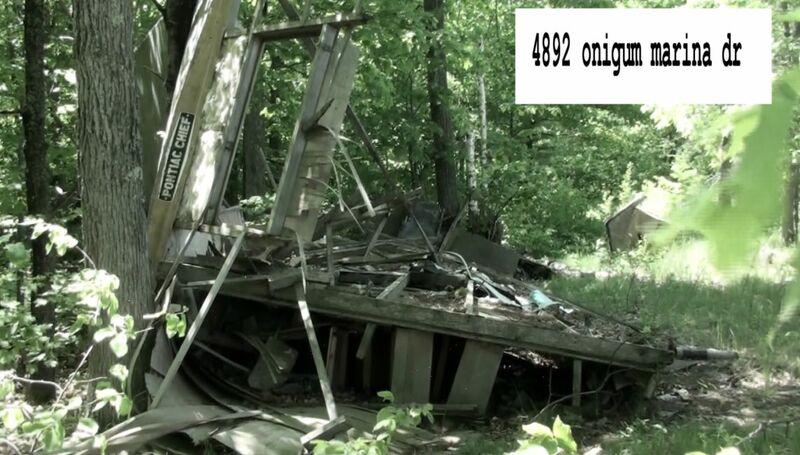 A few Home Sites in Onigum , NOW environmental mess’s that contain 70’s or so older building materials, hazardous materials such as Zink roofing, lead based paints, etc …. That are allowed to decompose and leech into the soil toward water supplies and and run off to the lake with surface rain waters. Stewards of the Environment wanting to protect the Two Points Property eh? If they choose not_to walk it …. The baby with the wash water ….